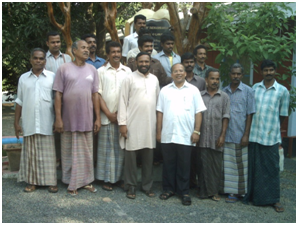 Snehashramam is a prisoner’s renewal and rehabilitation centre. It attempts to explode the work of divine love in the lives of released prisoners. It aims at accomplishing the goals of spiritual renewal, physical and psychological healing. It has facilities for counseling and education as well as opportunities in developing talents and skills.